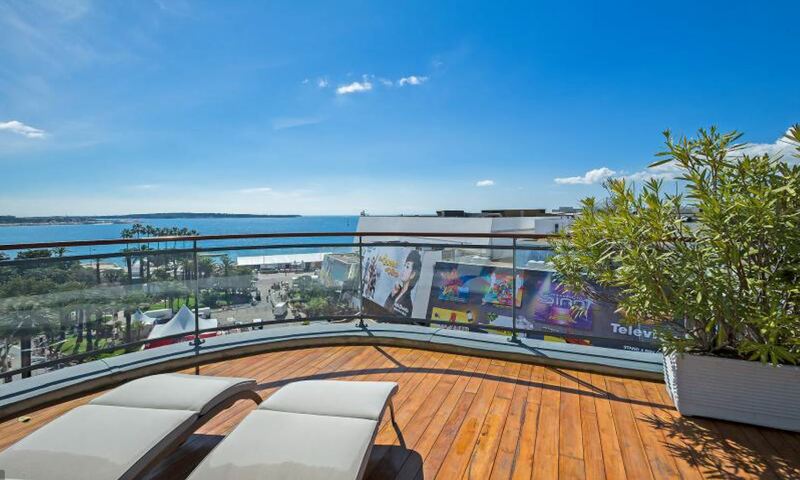 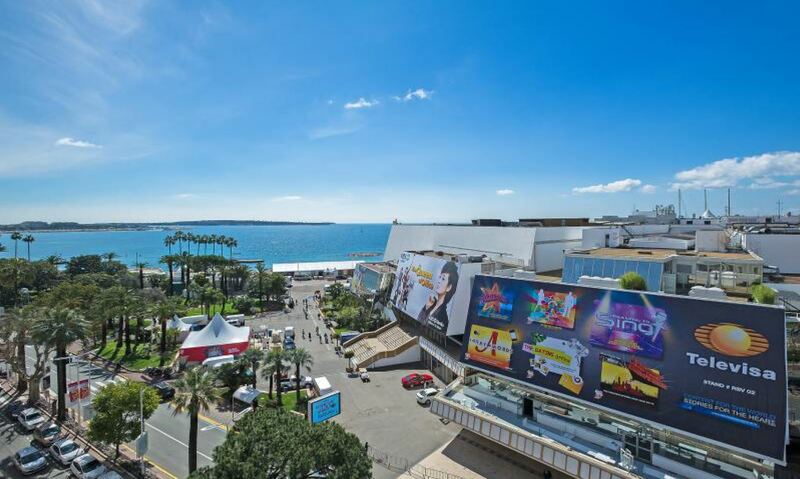 This penthouse apartment is magnificent, ideally located across from the Palais des Festivals, the property boasts a superb 160m² roof terrace with a swimming pool, Jacuzzi and stunning views of the Palais and sea. 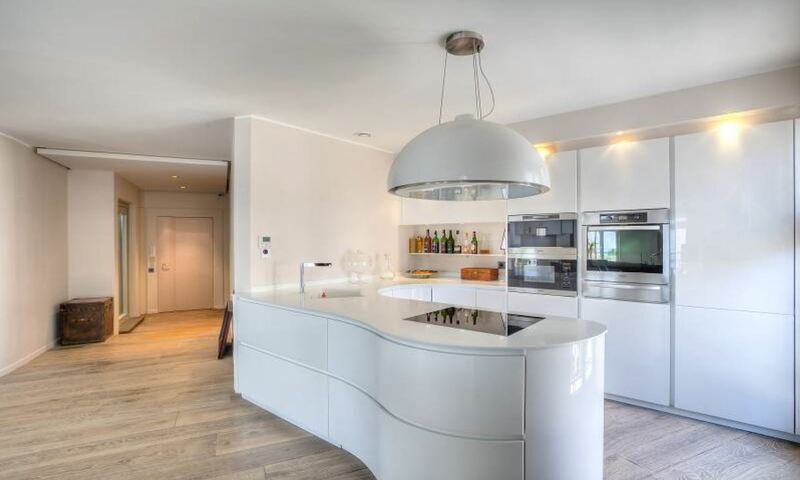 The interior consists of an entrance hall with guest WC, a living room and dining area with a fully equipped open-plan kitchen that opens onto the terrace. 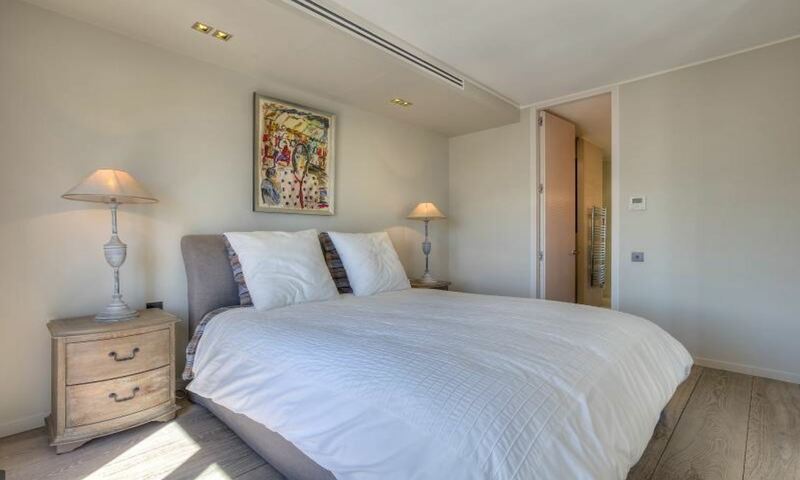 The Master bedroom benefits from a King size bed, ensuite bathroom and opens onto the terrace with stunning views. 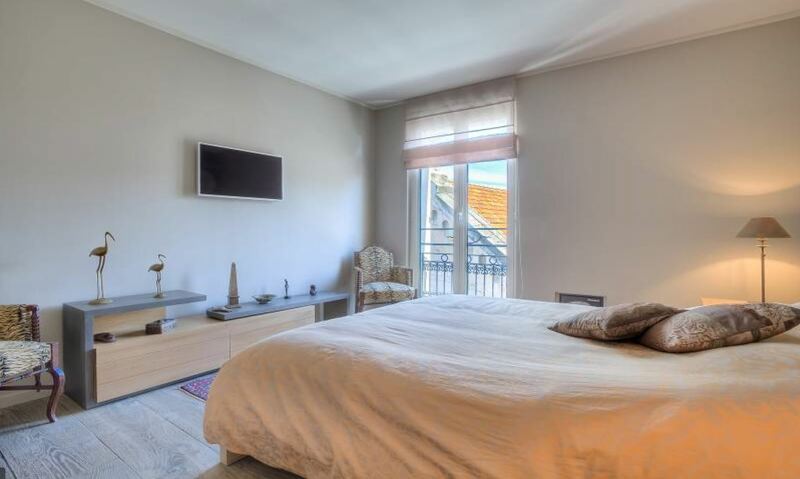 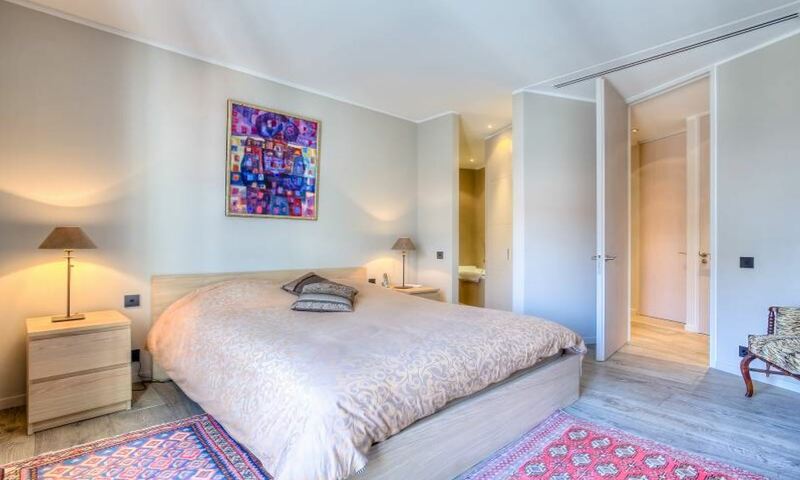 The further two bedrooms consist of Queen sized beds, and ensuite bathrooms. 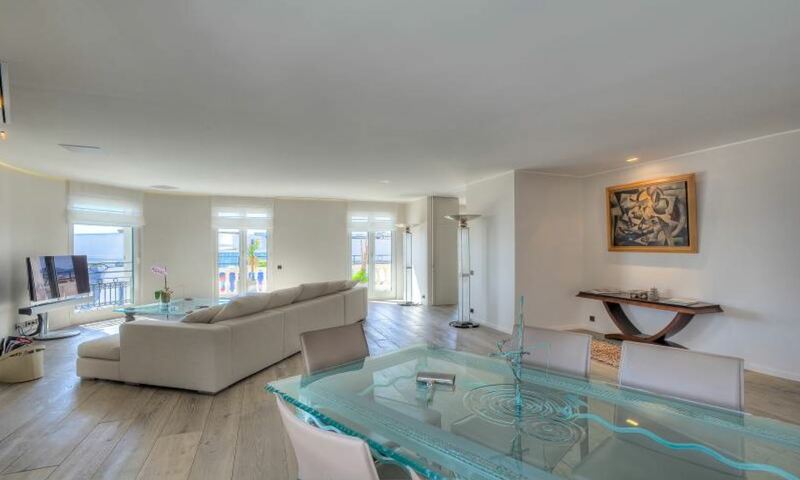 The exterior features an impressive roof terrace with sun loungers, summer kitchen, swimming pool and Jacuzzi. 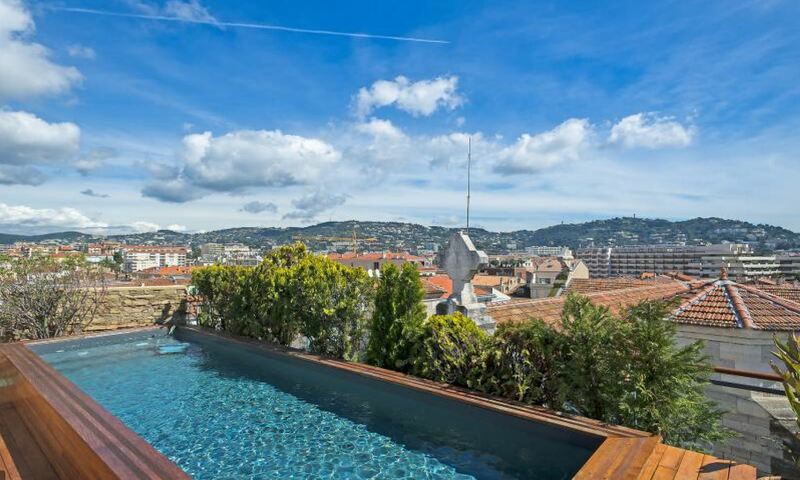 You can access the terrace via a private elevator.